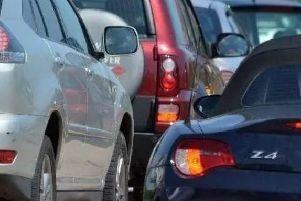 A serious three vehicle collision caused long delays on the A141 near March. The A141 Isle of Ely Way at Wimblington is partially blocked in both directions this afternoon, Wednesday February 3. Police, fire and ambulance were called at 11.45am to a three vehicle crash involving blue Vauxhall Meriva, white Mercedes Sprinter van, blue Volvo. One person has been injured but no details of the injuries are available at this time. There were delays in both directions and police traffic control while the vehicles are recovered from the scene.